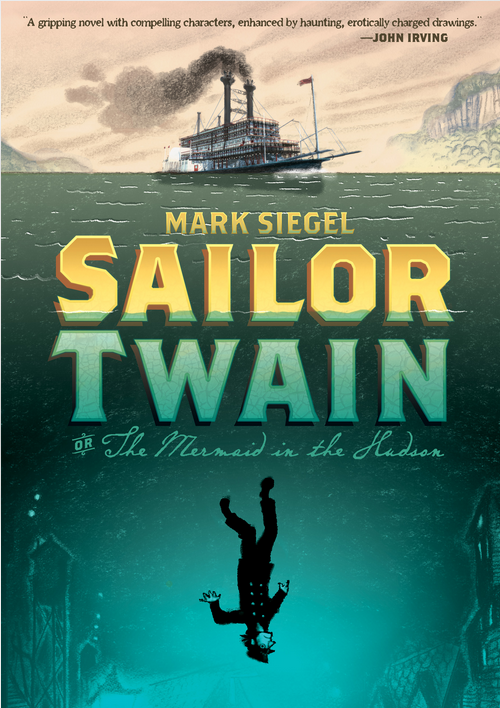 One hundred years ago a steamboat traveled along the Hudson River, captained by a man named Twain. One dark rainy evening Captain Twain rescues an injured mermaid, carried her back to his cabin and began nursing her back to health. And from that one act of kindness a terrible event is set in motion, that will shape the lives and destiny of all involved–the captain, a French nobleman named Lafayette, and a reclusive author named C.G. Beaverton with a secret. For the mermaid has a secret and a curse…and she seeks to ensnare anyone that she can to help her. There’s only one proven method for breaking the mermaid’s curse. How many will fall prey to her powers? And how many will come out whole in the end? Sailor Twain. That name just conjures up so many different memories if you’re familiar with literature and Mark Twain. And while this story doesn’t have Mark Twain in it (it doesn’t reference him though) it does capture that essence of the river and its denizens. The characters are captivating and from that very first page you want to know what happens to them, what made them be the way they are, especially Lafayette, the French nobleman. And the situations the characters are placed in feel real, they make you wonder what you would do in a similar situation. Would you be able to avoid the temptation of the mermaid’s call? The thing I love most about this book is the sheer amount of research and historical content that Mark adds to the story. Dropping in names, characters, and places from the real world to create a fantastic and jaw dropping tale. FirstSecond is one of my favorite publishers, in part because they’ve been taking chances on the stories they tell and how they deliver these stories to the world. Lately they’ve taken to serialize some of the comics online–such as Tune, Friends With Boys, and this one–which gives readers a chance to build a community around the work, which ties into my favorite part of the historical context of the story given just how much is shared by Mark and the community at large. I love the fact that he shares in the blog what influenced him while creating this work, as well as sharing images and articles that fans dug up. I could see this being a great a book to use in a history class to help reluctant students see history come to life. Ok yes the teacher would have to explain the mermaid but still…even that was a part of lore during the time period. I wish that the printed book could capture all of the blog posts and the community built around this story. Hopefully once the book is printed the posts and comments will remain because they offer such great additional material. While the story stands alone, I recommend that readers also go and take a look at the blog and the community built there for some great extra material. This is great addition to any collection and I highly recommend it. I give the book 5 out of 5 stars. Princess Zora is lost in a strange and desolate land. She’s been looking for the Peryton clan so that she can lead them back to her father who hopes to unite all five clans together…and where she hopes to win the approval of her family. But at the moment she’s lost, cold, and far from home on a desolate mountain where she’s being chased by beasts and by zombies coming from all directions. 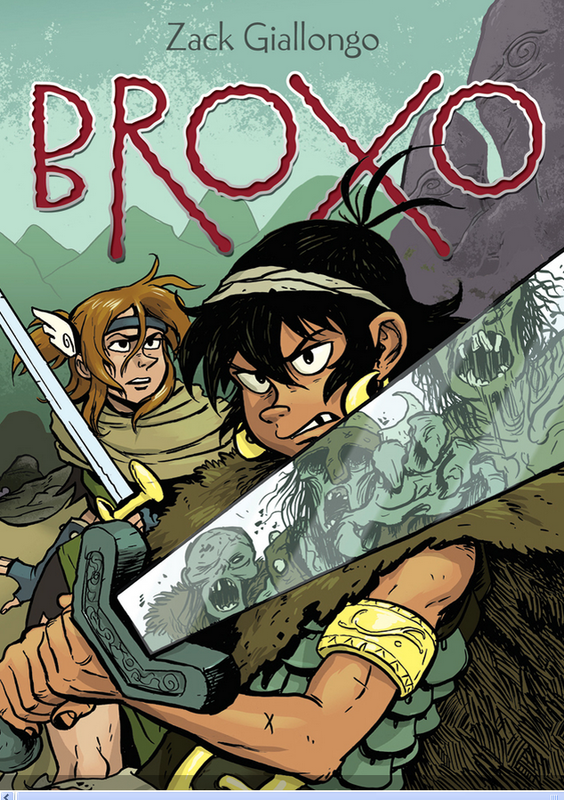 And the only person that she finds on that mountain is Broxo, a young warrior with no memory of his origins. Can Broxo and Zora solve the mystery of the missing clan? And can they stop the zombies before the zombies stop them? I do like the art style in the book. Much like the storyline it feels influenced by Jeff Smith’s work with Bone, with fluid line work creating interesting characters (especially Migo) and backgrounds to help draw the reader into the story. While the colors are somewhat muted, they really capture the intensity of the world, especially in the mountains and the storms that are constantly brewing and swirling. There are also some nice contrasts of lights and shadows that really help set the mood. I also like the character design, especially the nonhuman character, such as Migo. They just have a lot of life and vitality to them that make them entertaining to follow. Although I think we’re missing part of the story, I’d still give the book 3.5 out of 5 stars. I think this book could appeal to young middle school readers, especially those coming across zombies for the first time. I also hope that we get to see more of Broxo and Zora in another book to find out more about their universe.